Session420. 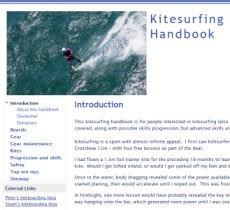 My first kitesurfing at Elwood and it was a good one. The launch is bit sketchy. While the beach is wide there are power lines close by. Parking is very convenient if you are prepared to pay for ticket. Its Dan's local beach. He, Tarren and Athol were kiting there too. I headed towards Brighton for my first tack in good wind then back towards St Kilda Marina. There was small surf close to some reefs and the beach which was nice to play in. Elwood is a good location, I have kited past quite a few times but its the first time I have launched there. There were quite a few walkers and dogs about but everyone got on fine. The wind was quite consistent for a change. My Union 10 was the ideal size for the day. Session 419. Spring has sprung but the sea breezes have not arrived yet. Headed to Hampton for a session in frontal wind. There were some nice atmospherics. The first run out was good but the wind died on the way back. I swam into the beach thinking it was all over. I packed up my lines and was about to go when the wind sprang up again, so Stu and I headed out for a well-powered session that redeemed our visit. Check out the crazy wind graph! The water was cool but not cold and the patches of sunshine were nice. I felt a bit "out of the groove" with so little kiting recently, so it was great to get out on the water .